Spice Bag at this Galway Chinese is most ordered takeaway in Ireland! Ireland’s favourite Chinese takeaways have been announced today to celebrate the Lunar (Chinese) New Year this week. And amazingly, a popular Galway Chinese has come out on top as the nation’s favourite. Deliveroo revealed that a Spice Bag from Xian Street Food in Galway is the most ordered Chinese dish in the entire country. Located on Quay Street Galway, Xian Street Food also has a premises at Anne Street in South Dublin. Last year’s Chinese New Year saw a rise of 208% in Chinese food orders from the same time in the previous year, so there is no doubt that Ireland holds a special place in its heart for Chinese. 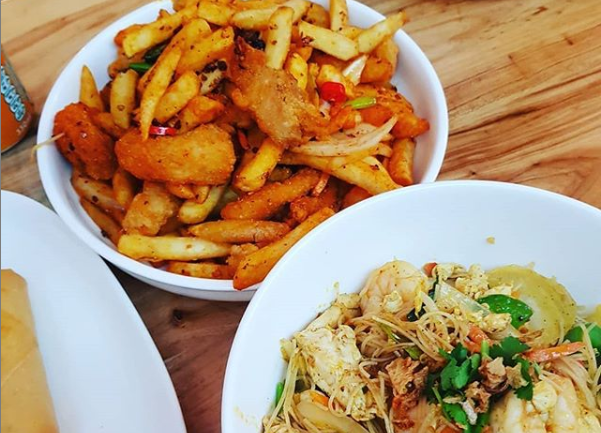 Whether it’s for a Friday night-in treat or soakage after a Saturday night, an order of Chinese is never far away from Irish households. A spokesperson for Deliveroo said, “Our preferences for Chinese dishes have changed over the years – there was a time when 3-in-1s were the brand new thing. “Now the legendary Spice Bag and Asian fusion are all the rage and always developing.